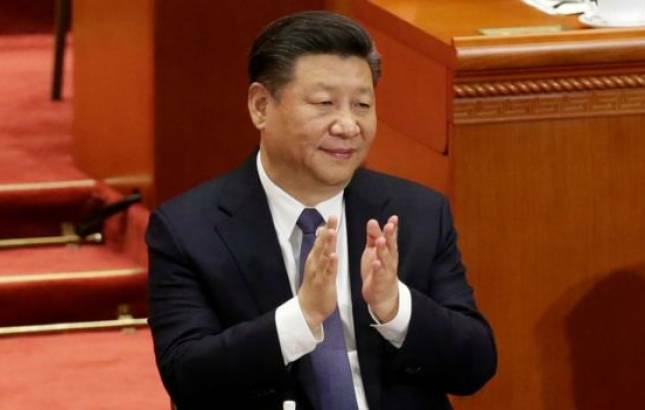 Expressing his heartfelt gratitude to the trust placed on him by all deputies and Chinese people of all ethnic groups, he said, "It is a glorious mission and weighty responsibility to take on this great position of the President of the People's Republic of China. Seeking to allay fears about absolute powers enjoyed by him controlling all levers of power, Xi vowed to continue to serve as a servant of the people. He also sought to allay the concerns of the world over the rise of China, saying that China's development does not pose a threat to any other country. "China will never seek hegemony or engage in expansion. Only those who are accustomed to threatening others see everyone as a threat," he said, taking a dig at the US. "The Chinese people's sincere wish and practical action to contribute to the peace and development of humanity should not be misinterpreted, nor should they be distorted," Xi said, adding that "justice will prevail!" Xi said China will stay on the path of peaceful development and continue to pursue a mutually beneficial strategy of opening up. He said China endeavours to uphold international fairness and justice. China advocates that all issues in the world should be settled through consultation with people around the world. China will not impose its will on others, Xi added. He said China will contribute more Chinese wisdom, Chinese solutions and Chinese strength to the world, to push for building an open, inclusive, clean, and beautiful world that enjoys lasting peace, universal security, and common prosperity. "I will, as always, faithfully fulfil my responsibilities empowered by the Constitution, be loyal to the motherland and the people, perform my duty scrupulously, do all my best, be diligent at work, and stay devoted and dedicated," he said. He also said all officials should subject themselves to people's supervision. "No matter how high a position one holds, all personnel of state organs should keep firmly in mind that our republic is the People's Republic of China," Xi noted. He asked all personnel of state organs to always put the people in the most prominent place in their hearts, always serve the people wholeheartedly, and always work hard for the people's interests and happiness. Praising Chinese people's history, he said people are the creators of history and the real heroes. "Today, the creativity of the Chinese people is being unleashed to an extent like never before, which has been enabling our country to develop rapidly and stride forward at the forefront of the world," he said. "Our pursuit of progress has never paused, he said. The Chinese people have been aware since ancient times that "we cannot sit idle and enjoy the fruits of others' work and happiness can only be achieved through great endeavour," he said.